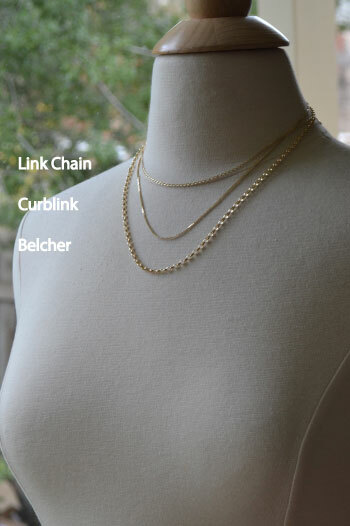 We include a chain with every order, but you can upgrade to another chain style or length. The prices shown are upgrade prices, it is not a second chain. You receive a complimentary 45cm link chain with most purchases. 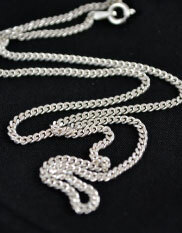 If you would prefer this chain in another length, it is also available in 50cm. 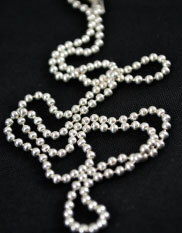 Our sterling silver ball chains are also very popular. If you would prefer this style, please select your option when you are specifying your order. They are available in 45cm, 50cm and 70cm. 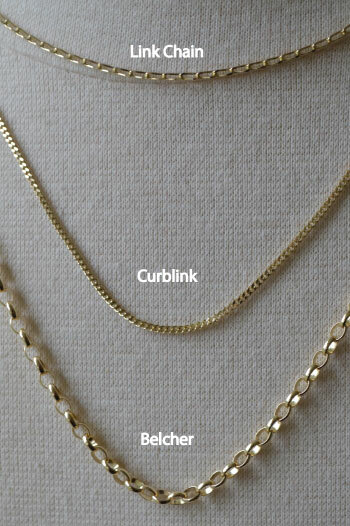 We also have a 45cm and 50cm curb link chain available for our customers to choose. 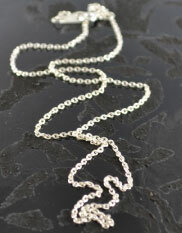 These are very sturdy chains, ideal for heavier pendants. Quality, 9 Carat Gold Chains – best prices available!